Cycling is one of the world’s great sports. From The Tour de France to the Paris-Roubaix to velodromes across the globe, it encompasses many disciplines: from climbing mountains to massed sprints to the loneliness of the time trial. But what separates race winners from the nearly men? Top cyclists are physically similar, train the right way, eat the right things, and yet there is something that separates them. It’s their hidden engine – not a secret mechanical aid – but what’s between their ears that makes the difference. In this superbly-researched and accessible book for fans of cycling, psychologist and cycling author Martijn Veltkamp gets to the heart of the supremely demanding and challenging sport of professional cycling, and the mental side of performance that drives success. He addresses fundamental questions in an easy-to-read way, including: what motivates riders and how does motivation affect performance? Where does a rider’s fear of descending originate from, and how do you get rid of it? Why do some cyclists succumb under pressure, whilst others do not? Why is cycling on your own mentally more challenging than when in a group? Written for connoisseurs of cycling, but equally rewarding for general readers, the book examines cycling from the viewpoint of classic psychological studies, and stage and race histories, as well as interviews with former professional riders. The Hidden Motor is a must-read book for anyone who wants to know all about this most exceptional of sports. This book is the English language translation of De Verborgen Motor, originally published in The Netherlands in 2015. Martijn Veltkamp is a psychologist based in The Netherlands. He graduated from the University of Utrecht in 2009, and specializes in motivation and behaviour. He is a passionate cyclist, writer, and follower of cycling. 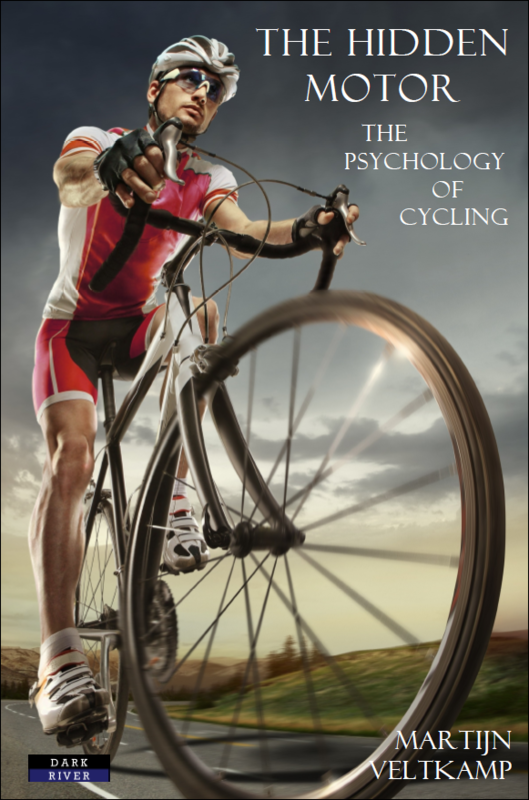 Book Categories: Cycling, Sport and Sport Psychology.